Fernando Verdasco with a four set victory, 7-5, 2-6, 6-4, 6-4 over Andy Murray in R2 at the 2018 US Open. Fernando Verdasco will face the gentle giant, Juan Martin del Potro in R3. 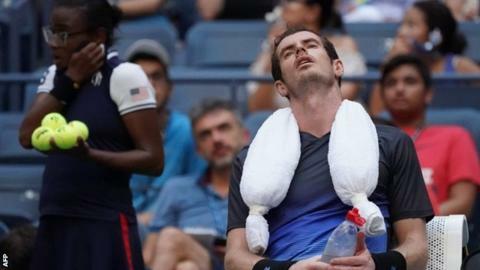 Andy Murray's Grand Slam return ended with a second-round exit at the US Open on Wednesday, but the former world number one found reason for optimism in a four-set loss to Fernando Verdasco. 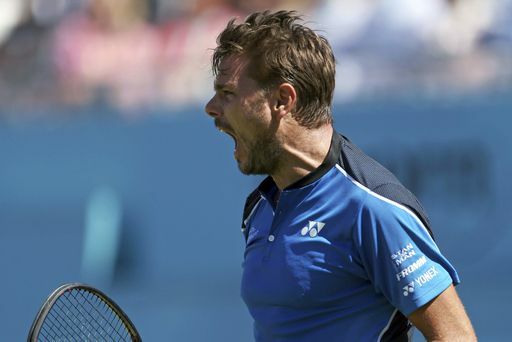 The Scot, playing his first Grand Slam since Wimbledon of last year and just his fifth tournament since hip surgery in June, gave himself a mixed report card. "I think some of the tennis I played today was some of the best I've played since I had the surgery or since I came back," Murray said. "There were also periods in the match, especially in the first set, where I really didn't play particularly well. Fernando Verdasco reacts after surviving a third-set battle against Thanasi Kokkinakis that went to a final-set tie-break at the Miami Open . Watch highlights as Roger Federer, Taylor Fritz, Pablo Cuevas and Hyeon Chung reach the fourth round at Indian Wells. 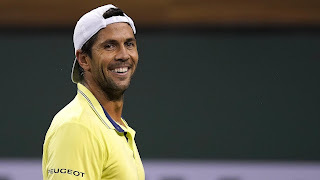 Fernando Verdasco upset third seed Grigor Dimitrov 7-6(4) 4-6 6-3 at the BNP Paribas Open at Indian Wells. 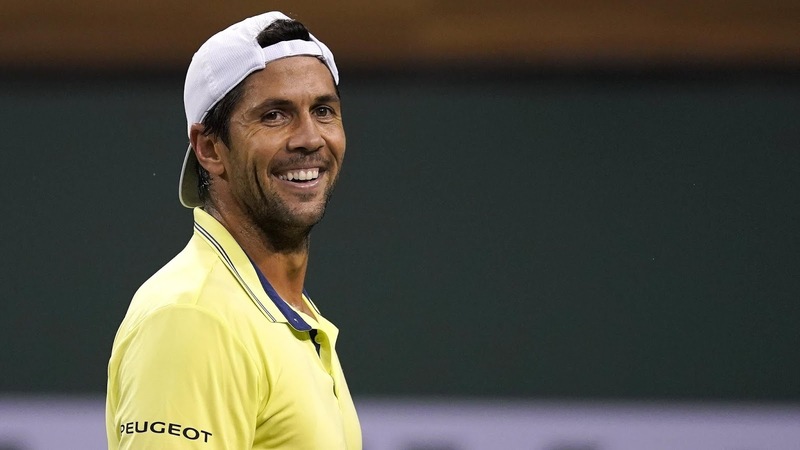 Verdasco's first serve proved nearly unplayable in the deciding set of the second round match as he improved his career head-to-head record against Dimitrov to 2-2. Watch highlights as Alexander Zverev reaches the second round in straight sets. Diego Schwartzman defeated Fernando Verdasco 6-2 6-3 to win the Rio Open . 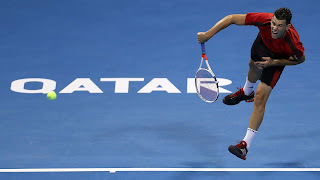 The world number 23 was in commanding form against an opponent who appeared to run out of puff after reaching both the singles and doubles finals in Rio. "I was very patient, solid, intense, I knew he was very tired as he had played both singles and doubles," Schwartzman said of his opponent who won the doubles final on Saturday. Watch highlights as Diego Schwartzman clinches his first ATP World Tour 500-level title at the Rio Open with a win against Fernando Verdasco. Watch as Diego Schwartzman shows tremendous finesse to hit a lob over Fernando Verdasco in this hot shot at the Rio Open. Fernando Verdasco looks ahead to the Rio de Janeiro final, his first ATP World Tour 500 title match since 2010. 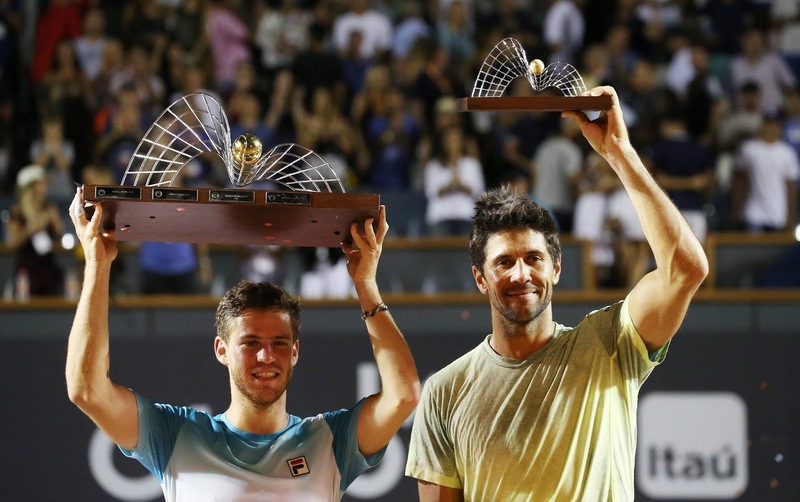 Fernando Verdasco speaks after shocking defending champion Dominic Thiem at the Rio Open . Fernando Verdasco turns offense into defense by tracking down Dominic Thiem's best shots before unleashing a forehand during his 6-4, 6-0 win at the Rio Open. Dominic Thiem owas upset 6-4, 6-0 by Fernando Verdasco in the quarterfinals of the Rio Open. Thiem won the Argentina Open on Sunday for his ninth career title. Verdasco will play Fabio Fognini, a 6-7, 6-3, 6-1 winner over Alijaz Bedene in the late match. 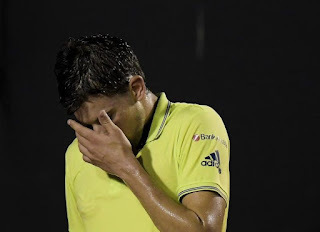 Bedene lost to Thiem in the Argentina Open final. In the other semifinal at Jockey Club Brasileiro, Diego Schwartzman will face Nicolas Jarry. Schwartzman beat Gael Monfils 6-3, 6-4, and Jarry topped Pablo Cuevas 7-5, 6-3. Verdasco and Bautista Agut go head to head in their first round match of the Australian Open 2018.